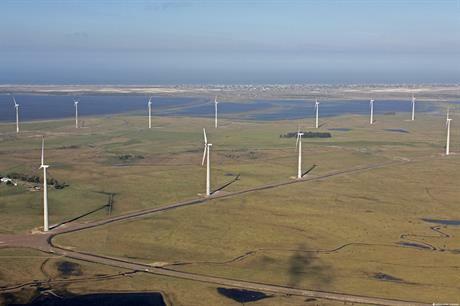 SOUTH AFRICA: Nordex will install 80 turbines at two projects awarded capacity in round four of the country's renewable energy tender programme. Enel Green Power’s 144.9MW Garob project and Madrid-headquartered independent power producer (IPP) Elawan’s 107.1MW Copperton wind farm have a combined capacity of 252MW. They are both located in the Northern Cape province in the west of the country and were both awarded capacity in a tender carried out in 2015 under South Africa’s renewables procurement plan (REIPP). Nordex will deliver and install 46 its AW125/3150 turbines for Garob and 36 units of the same model for Copperton. It will also maintain them and produce their 100-metre concrete towers locally, the manufacturer added. Patxi Landa, chief sales officer at Nordex, said: "South Africa is an important market for us, which is why we are pleased to be executing these two orders." Nordex has 560.6MW installed in South Africa across five projects, according to Windpower Intelligence, the research and data division of Windpower Monthly. Enel Green Power had previously stated that construction at Garob would begin in the first half of 2019 and that the site would be operational in the second half of 2021. Meanwhile, Elawan had planned for construction work at Copperton to start in the second quarter of 2018 with commissioning to follow in 2020. The two developers had won allocations in a tender carried out in April 2015. But state utility Eskom delayed signing the power deals, citing overcapacity resulting from the country’s economic downturn and slumping energy demand. It eventually signed the last of the 27 long-delayed power purchase agreements (PPAs) in April 2018.